The man, identified only as Witness O - speaking over a secure video-link - named the officer commanding (OC) the Birmingham IRA at the time, Seamus McLoughlin, as the person responsible for selecting the targets. He added that Mick Murray was "one of the bombers", and claimed he recalled Murray telling him there would be "no harm" if similar attacks had been repeated, because of the "chaos" caused. Pressed by Leslie Thomas QC, the barrister representing nine of the bereaved families, that another member of the bombing team was Michael Hayes, he replied: "Hayes, Hayes - I'll give it (the name) to you now." Then asked about "James Gavin", he replied: "Well, he was (involved), I met him in Dublin and he said he was." The witness, who earlier told the jury he was a convicted IRA bomber who served a prison sentence in the 1970s, replied: "No, I don't remember him at all. "Reilly? I would remember that." "You know who he is, don't you? "He's the one you're protecting, isn't he?" He made reference in his evidence to two others, identified as "Dublin Dave" and "Socks", who may also have been connected to the bombings. The witness added of the men he had named: "The police already know who they are, and they haven't done anything." Witness O, who was in jail at the time of the attacks and said he had no knowledge they were being planned, described the bombings as "an atrocity". 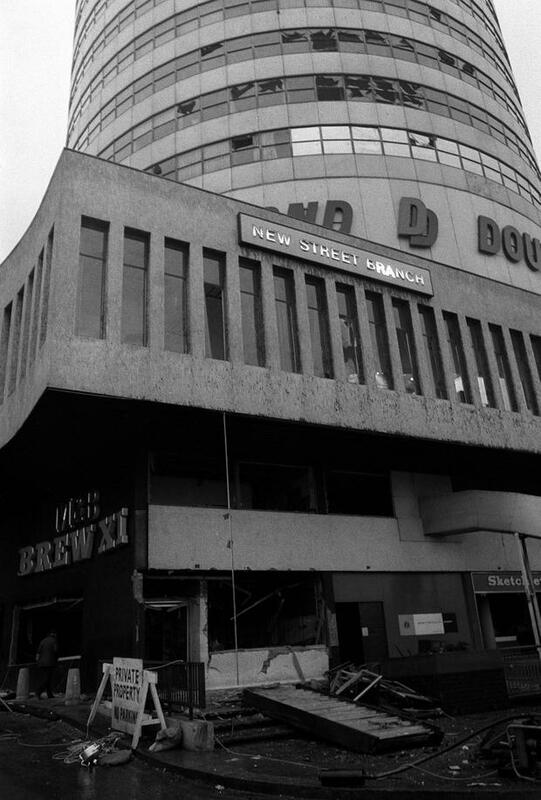 He added that the Birmingham IRA active service unit responsible was "stood down" by the organisation's Army Council following the blasts. The witness said he had been given permission to speak to the inquests, including giving the bombers' names. When coroner Sir Peter Thornton QC asked him who had given that authorisation, he replied "The head of the IRA", adding that he had approached the organisation's chief in Dublin six months ago. Asked by barrister Mr Thomas who that man was, the witness replied: "Well, I'm not telling you his name." Asked why not, the former IRA man said: "Because he's the head of the IRA. He could be shot dead." He also claimed to have given McLoughlin's name to two detectives while in HMP Winson Green just days after the bombings, but heard nothing more. Counsel to the coroner Peter Skelton asked: "Was it the OC of Birmingham who would take decisions about which places to target for the bombs? Mr Reilly and Mr Hayes have always denied any involvement in the blasts, though Mr Hayes has said he took "collective responsibility" for all IRA attacks in England, including the pub bombings.